I’d like to wish everybody a happy, healthy and sweet new year. Shana Tova! Life continues to be hectic, and I don’t find myself with the time to post here. I’m working on another cookbook, and I’ll post about it when I have some information. 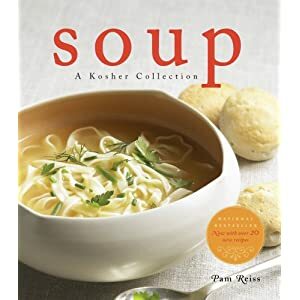 In the meantime, as it’s getting much cooler in Winnipeg, I find myself leafing through the Soup book and planning on making big batches to keep us going through the winter. I hope the year has started off well for everybody.